The utility of plants as biofactories has progressed in recent years. Some recombinant plant-derived pharmaceutical products have already reached the marketplace. However, with the exception of drugs and vaccines, a strong effort has not yet been made to bring recombinant products to market, as cost-effectiveness is critically important for commercialization. Sweet-tasting proteins and taste-modifying proteins have a great deal of potential in industry as substitutes for sugars and as artificial sweeteners. The taste-modifying protein, miraculin, functions to change the perception of a sour taste to a sweet one. This taste-modifying function can potentially be used not only as a low-calorie sweetener but also as a new seasoning that could be the basis of a new dietary lifestyle. However, miraculin is far from inexpensive, and its potential as a marketable product has not yet been fully developed. For the last several years, biotechnological production of this taste-modifying protein has progressed extensively. In this review, the characteristics of miraculin and recent advances in its production using transgenic plants are summarized, focusing on such topics as the suitability of plant species as expression hosts, the cultivation method for transgenic plants, the method of purifying miraculin and future advances required to achieve industrial use. 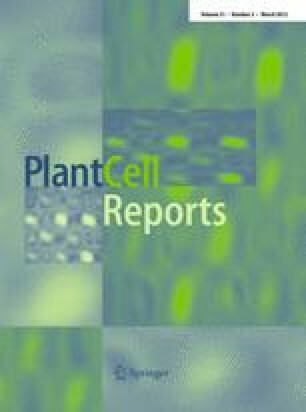 A contribution to the Special Issue: Plant Molecular Pharming in 2012 and Beyond. We are grateful to Inplanta Innovations Inc. for collaborations and the members of the Ezura laboratory for their helpful discussions. This study was supported by the project “Development of Fundamental Technologies for the Production of High-Value Materials Using Transgenic Plants” and by the Ministry of Economy, Trade, and Industry of Japan to H.E.